The Fosters kids attend a party at the Derby warehouse, where things escalate quickly when the police turn up. Lena struggles when Stef becomes obsessed with a case at work. The Fosters kids attend a party at the Derby warehouse, but things escalate quickly when the cops show up. 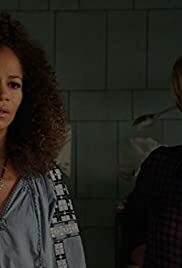 Lena struggles when Stef starts to become obsessed with an ongoing case at work, meanwhile Brandon's relationship with Grace is put into jeopardy witch Courtney back in his life. Mariana Adams Foster: I have two things to tell you, so please don't interrupt me. First, I'm working out with a roller derby. Second, Jesus had a seizure last night.